The first human footsteps on the surface of the Moon were taken by Neil Armstrong and Buzz Aldrin on 20th July 1969, during the Apollo 11 mission. The United States and USSR were in a race to reach the Moon, and both had failed to accomplish the mission several times over. The famous Apollo 11 had several predecessors, none of which reached the Moon’s surface. The entire world praised the astronaut that spent almost an entire day on the surface of the Moon and who then brought 47.5 pounds of lunar material back to Earth for studies. None of this, however, would have been possible without Margaret Hamilton, the engineer that wrote the code that took humanity to the Moon. 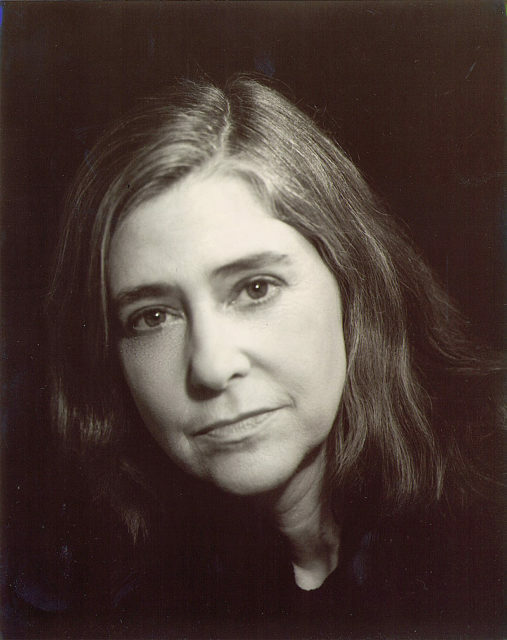 Margaret Hamilton was born on 17th August 1936, in Paoli, Indiana. After graduating from Hancock High School, Margaret began her studies at Earlham College where in 1958, she earned her BA in mathematics. The young and talented woman was forced to suspend her education and work as a high school teacher in order to support her husband who was studying law at Harvard. Later, Margaret moved to Boston, with the plan to obtain a degree in abstract mathematics at Brandeis University. In 1960, she joined the Massachusetts Institute of Technology as an interim and worked on weather prediction software. After one year, Margaret was employed as one of the designers of the project SAGE, an anti-aircraft defense program, developed for military purposes. She worked on SAGE from 1961 to 1963, proving herself as a very capable programmer. Due to her efforts, she was later invited to become part of the MIT team that worked on the development of the software that was used on the Apollo 11 mission. When NASA ordered the software from the MIT and Margaret learned about their agreement, she called the university to apply for the job. When her application was accepted, Hamilton joined the Charles Stark Draper Laboratory, where she later became the director and supervisor of software programming for the Apollo and Skylab projects. It was during this time that she coined the phrase “computer engineering”, which is widely used today. 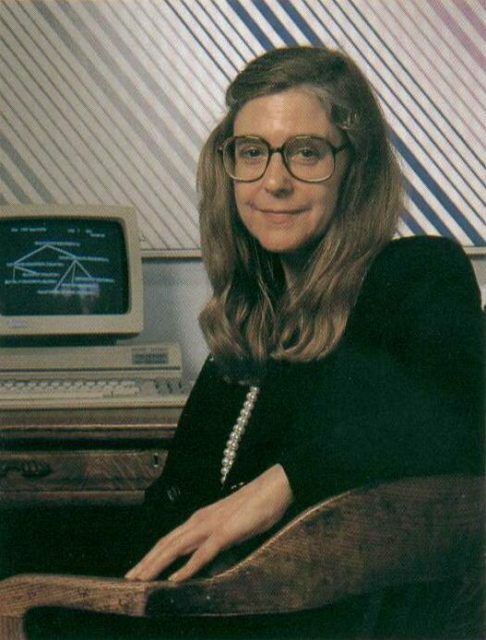 The term software did not exist in the time when Margaret Hamilton was writing codes for the space agency. Completely dedicated to the task, she would spend lots of time in her lab. Margaret even brought her daughter to work, and the little girl would sleep on the floor while her mother was reshaping the world as we know it today. As time passed, it became clear that software was the key to the Moon race victory. By 1965, Hamilton was in charge of the in-flight software of the Apollo spacecraft, and three years later, a team of 400 people was working on the software design for NASA. 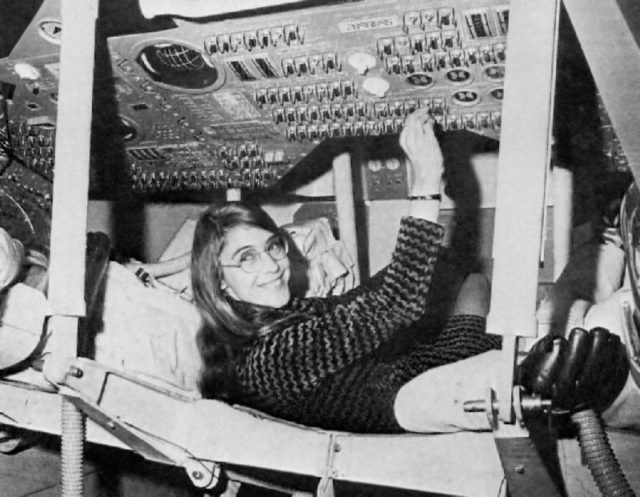 Hamilton during her time as lead Apollo flight software designer. The space agency had sent two crafts close to the Moon before the success of Apollo 11. Named as Apollo 8 and Apollo 10, launched in 1968 and 1969 respectively, the two spacecrafts orbited around the Moon and returned safely to the Earth. On 20th July 1969, the big day for NASA, MIT, and Margaret Hamilton had finally arrived. With the astronauts onboard, Apollo 11 left the Earth and was heading towards the Moon. During the flight, several problems occurred; only a few minutes before the Lunar lander had reached the Moon’s surface, several of the computer alarms were triggered, suggesting that the mission should be aborted. The problem was not with the software but with the incorrectly installed power supply to the lander’s radar and it was the program that actually saved the entire mission. The Apollo software was so well designed, that it could perform more tasks than planned, and it was smart enough to recognize problems and solve them through a set of recovery programs that were incorporated within it. The code that Hamilton and her team wrote could prioritize and focus on more important tasks. 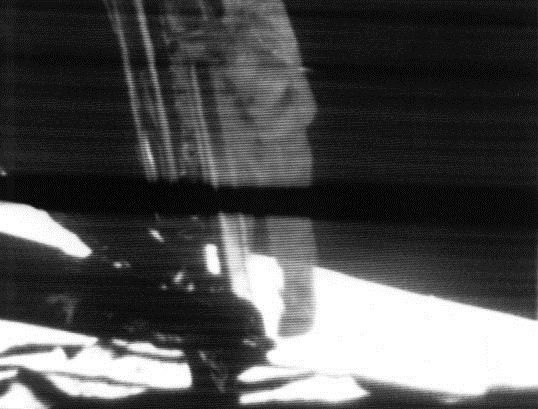 As Margaret herself said in one of her letters, it was the software that recognized the problem and took action, thus saving the mission and landing Apollo 11 on the Moon’s surface. Composed of thousands of lines of code, the software designed for the Apollo missions delighted NASA so much, that the agency decided to use it on their Skylab project as well. Official photo for NASA, 1989. Margaret Hamilton became an icon for women working in science and technology. In a time when most of these jobs were given to men, she managed to prove herself and become one of the major factors that allowed the United States to win the Moon race. Margaret left MIT and cofounded the Higher Order Software company, where she served as CEO from 1976 through to 1984. The company developed ideas for error prevention and created USE.IT, a product successfully used many times by the US government. In 1985, Hamilton left the company and became the founder and CEO of Hamilton Technologies, another software development company. 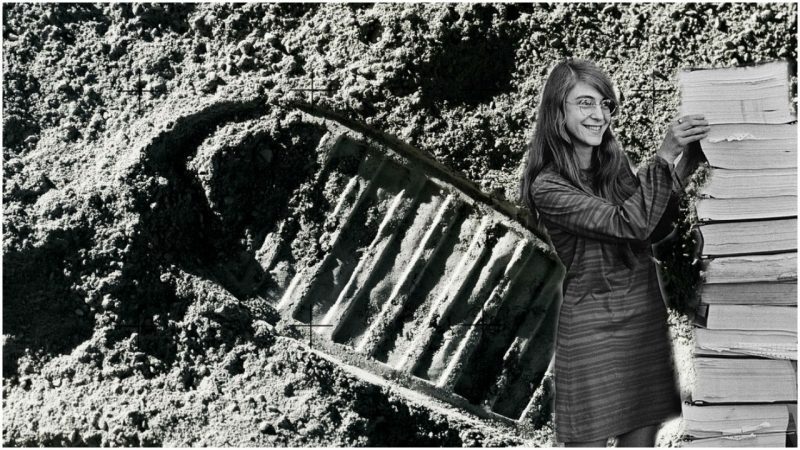 In 2003, Margaret Hamilton was honored by NASA with the award for her accomplishments in the development of the Apollo software, becoming the receiver of the biggest financial award given by NASA up to that point. In 2016, Margaret was honored again, this time by the US President Barack Obama, who awarded the software engineer with the Medal of Freedom award.